Single crochet, increasing, and decreasing. 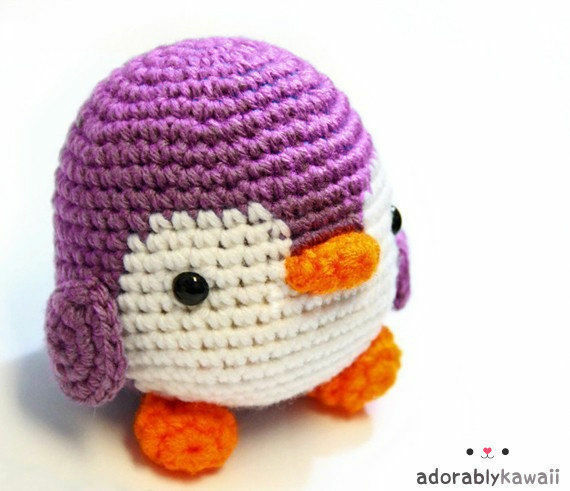 Pattern includes written instructions and photo tutorial for magic ring & color changes. PDF has 7 pages. This penguin stands about 4” (10cm) tall. Results will vary depending on your tension and your yarn & hook choice. Worsted weight yarn in purple, white, and orange.